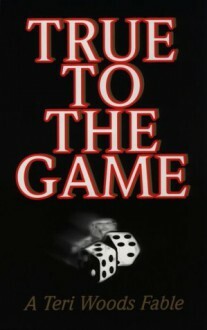 This book represents the drug game during the late 80's from the inner city streets of Philadelphia. The main characters, Gena and Quadir find themselves caught in the vicious, yet seductive world of drugs and money. Quadir a millionaire drug dealer flipping kilo after kilo, builds a massive money empire. He, however, is also faced with the art of extortion brought upon by the notorious junior mafia. She, however, is faced with holding onto her man, her house, her car and the money. This is our life, these are our streets and this book represents our losses, our gains, our sorrows and joys. With the good, always comes the bad and when you play in this game you have to count the highs and the lows. When you deal with loss after loss, when the people closest to you are gunned down, when the people closest to you are millionaires from hustling in the drug game, when you live this life and have everything money can buy, the price is too often life in return. It's so hard to think about the bad when it's all good. It's so hard to think about the sacrifices that will be made so the next can eat, so the next can come up, so the next can survive to tell about it. We at MMP thank the massive support from the brothers locked up, the massive support from the streets, and if we never make it on a book shelf the hustle was the real. We at MMP promise to never forget you, never forget the hustle and always represent. This one is for the streets.